Now consider your last call to customer service. The bar is so low, most of us breathe a sigh of relief when we make it through the conversation without getting disconnected. And yet, differentiation in customer service is crucial if you don’t want your company’s success dependent on race-to-the-bottom features like price and product—because we all know that is the slipperiest of slopes. Say I want to buy renter’s insurance, for example, and there’s a $3 monthly difference between two carriers. If the less-expensive company is impossible to get on the phone or has trouble answering my questions when I do connect, I’ll happily pay an extra $3 a month for a company that is easy to contact and respects my questions or concerns. No one likes to sit on the phone and hear endless click-clacking. Customers crave transparency, while any opaqueness leads to frustration and worry. Exhibit B: Technology allows for companies to share their representative’s process via their app, so that users customers aren’t left in the dark during the conversation. In my ideal call with the airline, I’m watching as the representative searches all the flights to Omaha. People have grown increasingly self-reliant—just a few clicks separate us from a car at the curb, a meal at our desk or clothes in our mailbox. 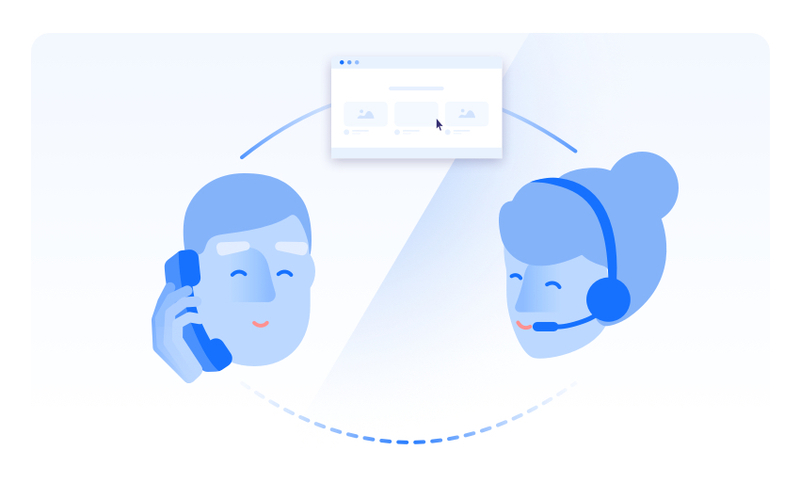 Companies therefore can and should use customer service calls not only to solve customers’ in-the-moment problems but also to ensure they don’t happen again. Returning to my airline example: It’s great if the rep is able to more efficiently search flight options for me. But it’s fantastic if they take a few extra seconds—or even minutes—to explain how I can do it myself next time. Because who doesn’t appreciate a tip that leads to greater efficiency the next time around? We all want to be heard, so follow-up surveys are great. Follow-up surveys that require me (or anyone else) to spend several minutes are not. By asking one question—as the airline did at the end of the interaction—you give the customer a voice in the process without being annoying. Another good protocol: The agent assured me it would only take 10 seconds. And because it was via text, it required only a single keystroke. Brief surveys are also more likely to be completed, and thus allow companies to gather information about their customer service and identify the aspects that exceed expectations and those that need attention and improvement. Are these the only keys to great customer-service experience? Of course not. But it’s a strong way to start providing the best customer service possible, rather than simply beating what is generally a very low bar.